Danville School District 118 is exploring the possibility of offering some high school classes to 8th graders. Assistant Superintendent John Hart says Algebra 1 and Biology are two high school courses the District is considering offering at the 8th grade level. Those students who successfully complete the classes would leave the 8th grade with some high school credits. Danville School Board members are expected to discuss the idea at their meeting Wednesday night (February 13, 2019). Also, Assistant Superintendent Hart says the District is trying to get word out to the public that there will be no activities at Danville High School this summer. All school and public functions at the high school are going to have to find another location this summer because of some construction work occurring at the high school. The work will involve renovations to the high school’s elevator plus student restrooms on all three floors. 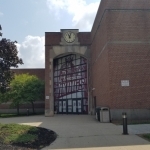 Hart says they are trying to get the word out to organizations that normally use Danville High School for activities during the summer that it will not be available this summer. Even Danville High School’s summer school classes will be held at a different location.